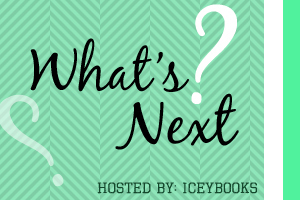 What's Next is a weekly feature hosted by Icey Books, where bloggers can help other bloggers pick their next read. Sounds like fun, right? Head on over to Icey Books for more details and to join in the fun! So which book do you think I should read next - The Coldest Girl in Coldtown, Fangirl, or Out of the Easy? Books always seem to come in groups. I'd highly recommend Out of the Easy. It's pretty great! I'd go for The Coldest Girl in Coldtown. Ugh these are all amazing picks. But I'm going to say The Coldest Girl in Cold Town and then Fangirl and then Out of the Easy. Hope you enjoy your pick! Fangirl gets my vote! :D I've been dying to read that one. Although The Coldest Girl In Coldtown looks interesting, too. Hey, at least you've got choice depending on whether you want a contemporary or something else. :) Happy reading! Hmm probs Coldest Girl because I REALLY want to know what you think.